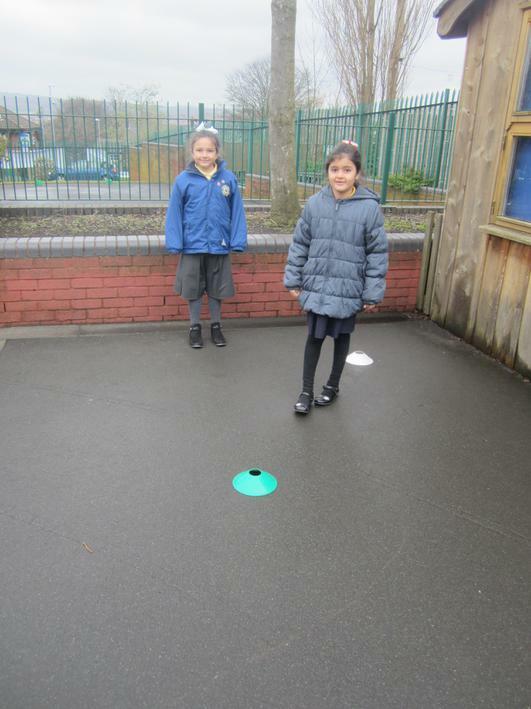 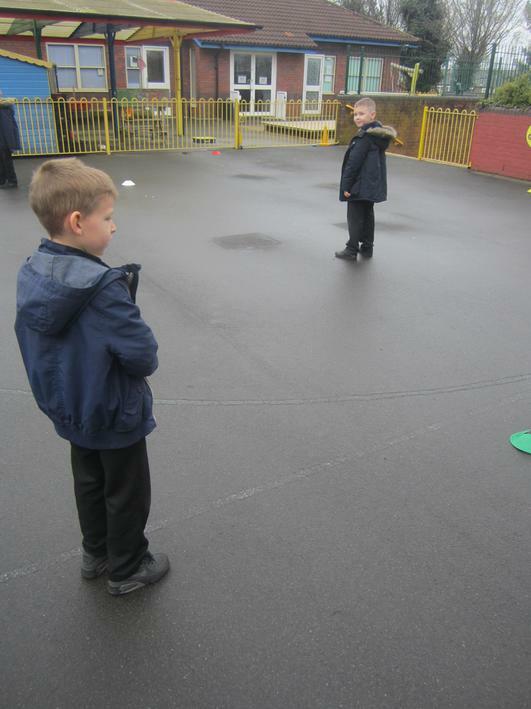 During Maths, the children have been using positional language including compass directions to navigate themselves around a course. 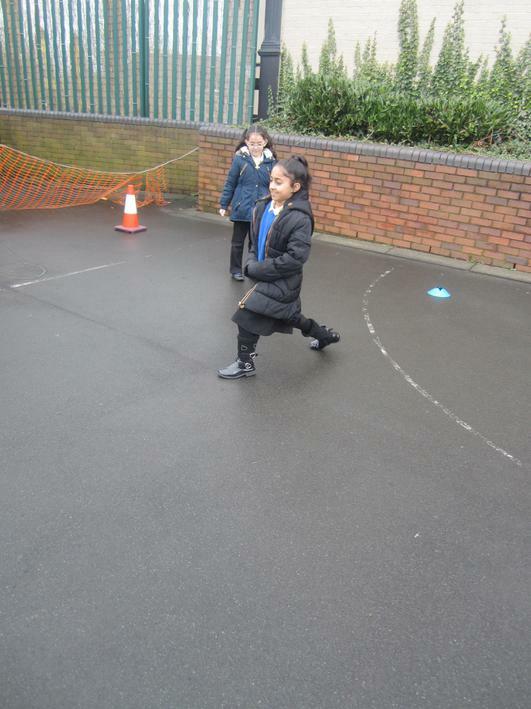 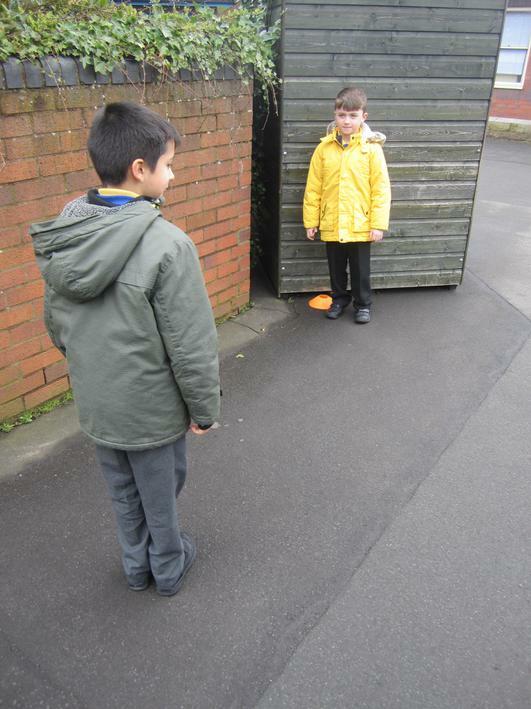 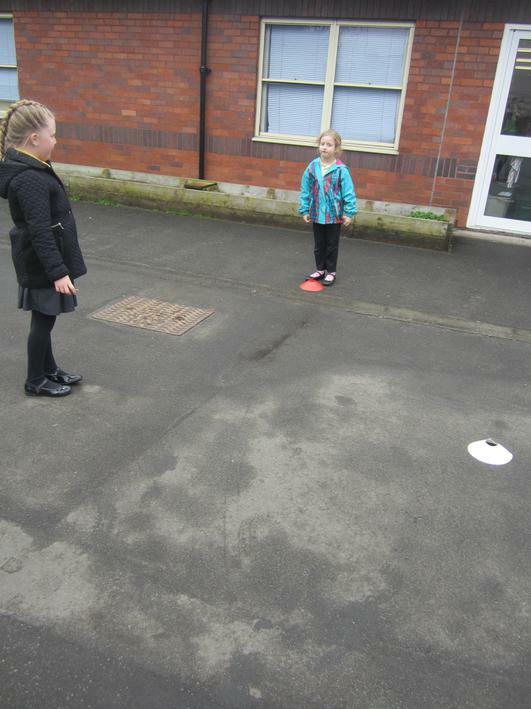 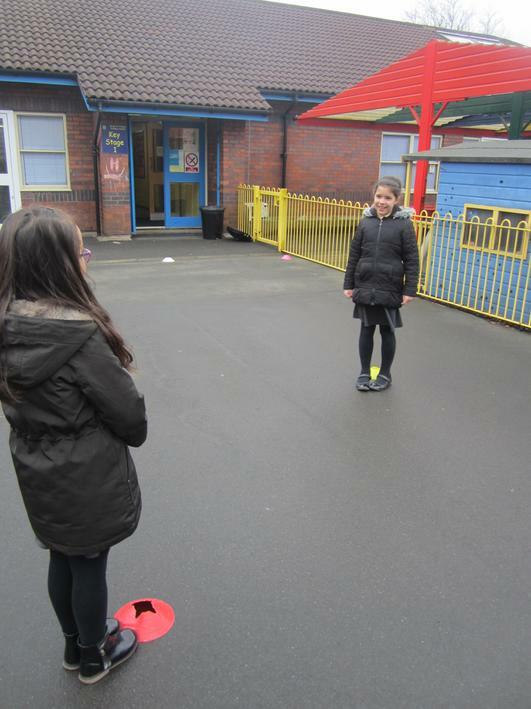 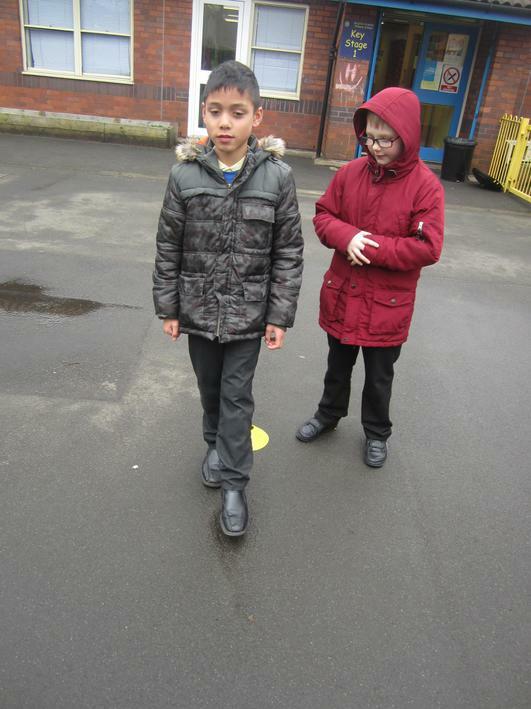 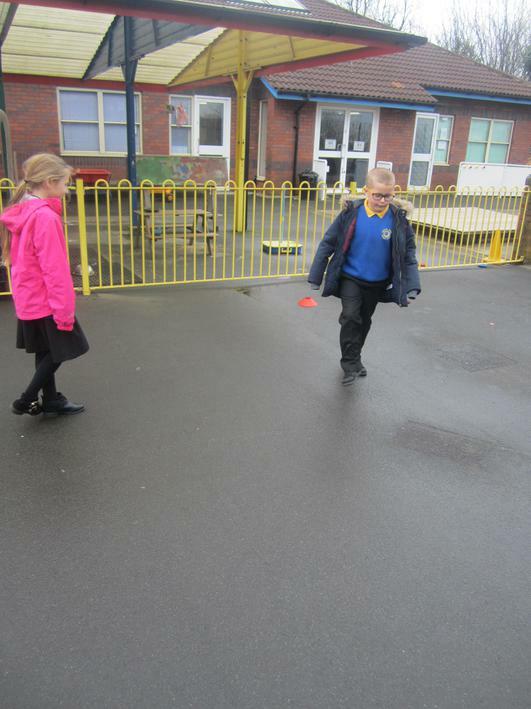 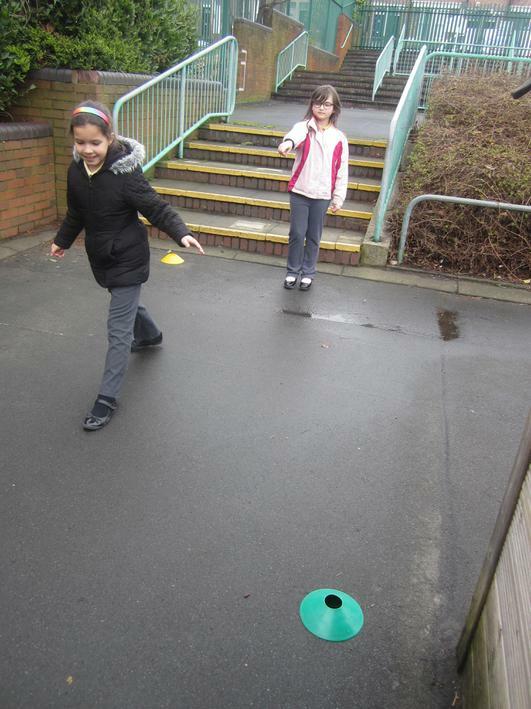 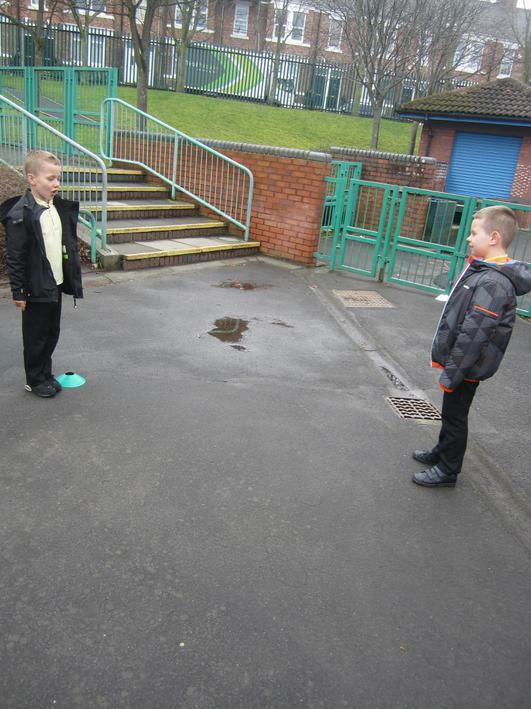 Children worked in partners to develop their language skills to enable them to direct each other from A to B. 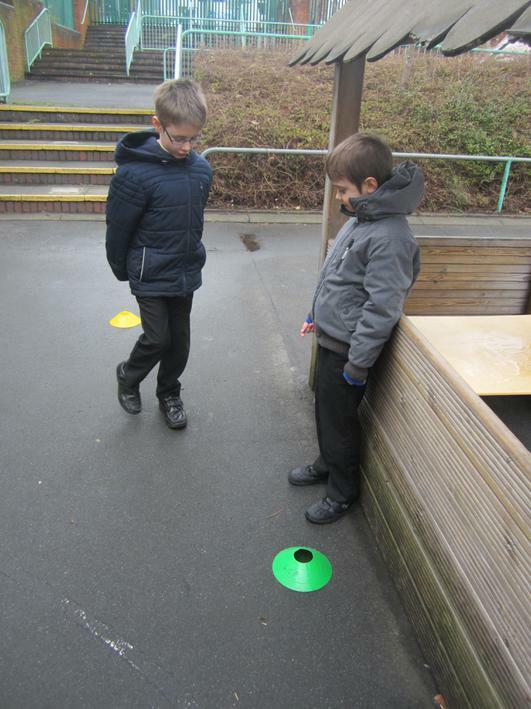 Some children found this trickier than others.